This study discusses the correlation between education (particularly higher education) and development, in the light of different studies conducted previously on this ground. For better analysis, Bangladesh has been taken for empirical examination purpose where investment on higher education yet to produce expected outcome. This study attempted to identify the factors through which education speeds up the development process of a country. Finally the theoretical concepts have been compared to the results from Bangladesh. In a complex, dynamic, fast-changing environment, companies must strive for superiority in order to survive. Competitive edge cannot be achieved or maintained by setting goals based on past or even present performance. Benchmarking is a management practice that can be used to pursue excellence. It does this by identifying, comparing, and emulating best practice wherever it occurs. TQM (total quality management) philosophy offers excellence in 'continuous improvement' programs in organizations. Management accounting data play an important role in both of these approaches that managers use. This paper offers some thoughts on the linkages among benchmarking, TQM and management accounting. The paper critically analyses operational conditions of Cottage, Small and Medium Enterprise in Bangladesh. It utilises a sample of 19 small entrepreneurs, conducting field survey during July and August 2001. Necessary data are gathered, using a semi-structured interview schedule, from personal interview with the study entrepreneurs. Analyses reveal a number of important findings. Most entrepreneurs define small enterprises in terms of investment size, suggesting a maximum total investment of Tk.0.5 million, Tk. 40 million and Tk. 200 million respectively for cottage, small and medium firm. Economic environment is perceived to be relatively stable and favourable, but highly competitive due to globalisation. A wide variety of medium quality products are being produced to mainly meet the rising demand from middle and lower income people in domestic market. Also there has been a growing demand for high quality products from foreign market. Infrasturctural facilities are available at relatively high cost, but irregular and insufficient. Most entrepreneurs use second hand machinery, and would go for higher investment, if available, for updating technology, improving productivity and product quality, expanding market share and increasing efficiency. As such, there appears to have a bright growth prospect for development of the small business sector. Multiple difficulties, however, deter such growth potential. These problems, among others, include lack of unhindered access to institutional credit, high cost of borrowed capital, irregular supply of electricity and gas, lack of modern technology, unfair and uneven competition, absence of clear cut government policy and incentives. Most entrepreneurs need a comprehensive package of assistance, comprising both financial and non-financial support. Finally, the paper comes up with a set of policy principles, which may be of significant importance for smooth promotion and development of small firms in Bangladesh. This paper examines the Engel’s law (that household food expenditure at constant price increases less than proportionately with increase in household income level) for the samples of middle and upper middle class households dwelling in two popular suburbs of Dhaka Metropolitan City. Data on monthly household food expenditure, monthly household average income, household size and composition based on age, and some other household characteristics of 625 households dwelling in suburb Shiddeshwari and 348 households dwelling in suburb Moghbazar were collected from a survey conducted in September 1999. With commonly used specifications of Engel curves, estimates of income effect and income elasticity of food have been obtained using Ordinary Least Squares (OLS) estimation technique. Then, the household food demand model for two suburbs was again estimated incorporating some interesting household characteristics. In all estimations, food is found to be significantly income inelastic, and economies of scale is found to be working for both samples. This paper takes note of the progresses of operationalization of the ‘Investment Banking’ (IB) practice in Bangladesh adopting ICB as the case for study purpose. Prior to this, a thorough study has been made on the evolution of IBs in the arena of world financial system for a better critical analysis on Bangladeshi perspective. This study offers constructive proposals for strengthening ICB, refinement of ICB’s activities and improvement in the quality of service to the clients. This paper endeavors to frame an optimistic view that ‘Investment Banking’ (ICB and the subsidiary companies) practice possesses the capability to contribute strongly in ensuring a vibrant capital market in Bangladesh. The article ends with some proposals so that government of Bangladesh might play a serious role in order to ensure the shallowness of our capital market which is found conspicuous in comparison with those in our close neighbors. Unless the implementation of the policy reforms (of the kinds as suggested in this study) is expedited, the capital market will accelerate no real growth with no multiplier effect on the industrial growth process of the country. The role and function of English in the present global perspective is beyond all doubt. As the language of wider communication especially due to its inevitable attachment to international trade and commerce, English has turned out to be of prime importance in the domain of our business education. Apart from being the working language of international organizations and conferences, English is the key language of all sorts of business, trade and financial activities. 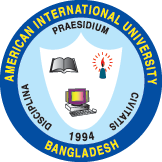 This role and function of English in the contemporary global avenue have been steadily implanting its value in the Bangladeshi socio-economic plus educational scenario. English for Business Purpose, i.e. Business English has thus become fundamentally crucial in our English Language Teaching (ELT) arena in order to cope with the ongoing economic and financial policies/programs everywhere. But the question lies: how far are we ready to activate this specific need of English and eventually create a suitable workforce that would contribute to our national progress? Given the facts that the standard of English in our educational lives has been consistently under question, one cannot expect to generate any dramatic improvement in the tertiary level. The reason is, all the facets of ELT are inextricably inter linked, and so development of Basic English education is the key to the sound teaching-learning of purpose-oriented ELT activities in the later stages. Unfortunately, regarding our education in general, and English education in particular, the ongoing ELT policy will hardly do any favor to our efforts of coping with the global economic trends as far as English skills are concerned. This article is an attempt to firstly, investigate the problems of our Basic English education along with the adverse effects they are causing in the Business English education at the tertiary level; and secondly, the probable remedies so that an effective Business English education can be implemented. AIUB School of Business believes that simulation games should be incorporated in different business studies classes to develop students’ comprehension and intellect regarding the business classes. Keeping that in mind, AIUB School of Business along with the collaboration of the IT department has developed a simulation game for the courses related to finance, which gives the students a real life experience regarding stock trading and portfolio management. In this simulation, students are divided into several teams, and each team trade in a hypothetical market. The thrust of the simulation is that each team’s goal is to maximize the value of its portfolio.